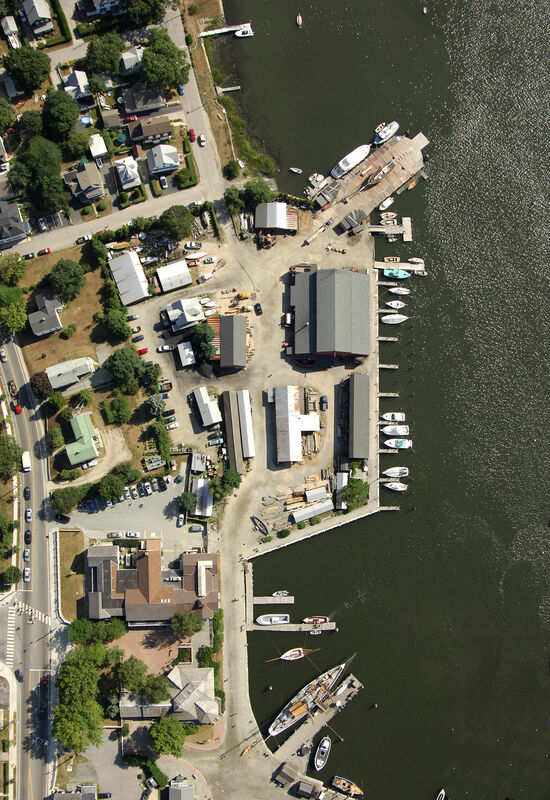 Our dock staff works reduced, part time hours in the off-season. Please excuse any delay in response. Emails are checked once a day, Monday-Friday. 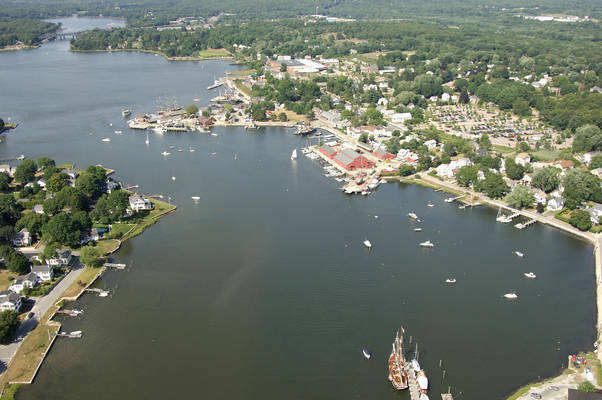 Mystic Seaport is an ideal destination, especially by boat. 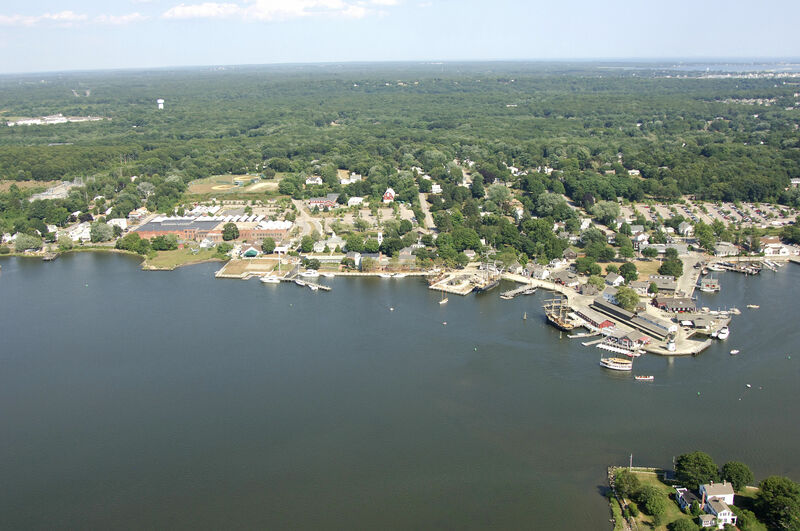 Located on the charming and historic Mystic River, we offer well-protected docks that are north of both bridges and just a short distance from Long Island Sound. 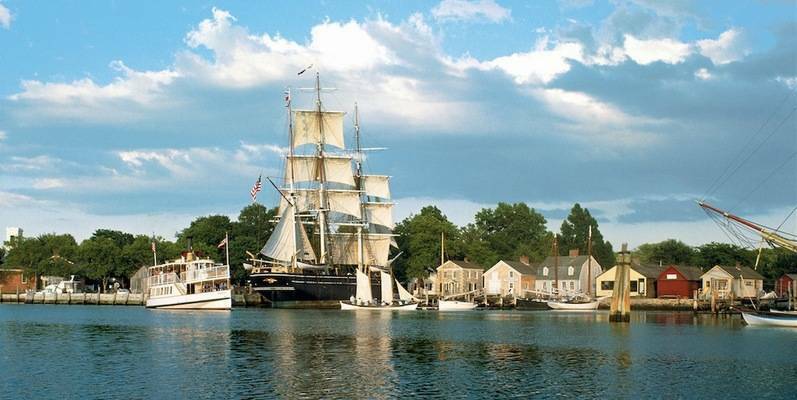 While docked at Mystic Seaport Marina, you and your guests arriving aboard will receive complimentary Museum admission. 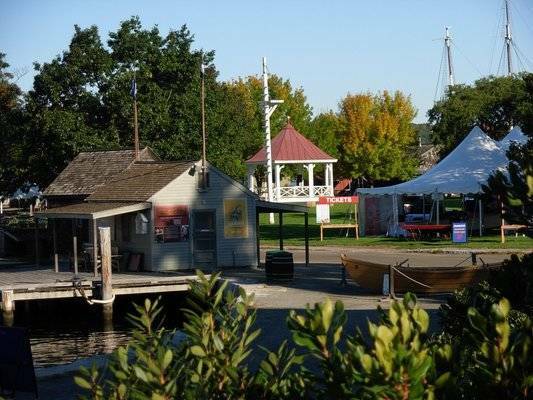 We invite you to stroll through our 19th-century seafaring village, climb aboard historic vessels, and explore exhibit halls. You’ll also have the unique opportunity to enjoy the beauty of our grounds in the evening after visitors are gone for the day, an experience reported by many to be the most magical part of their stay. 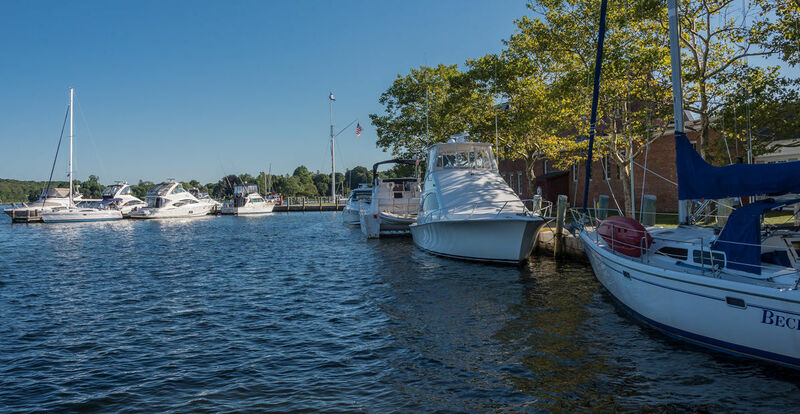 Dockage also includes free wireless internet, power, water, laundry facilities, and additional amenities. 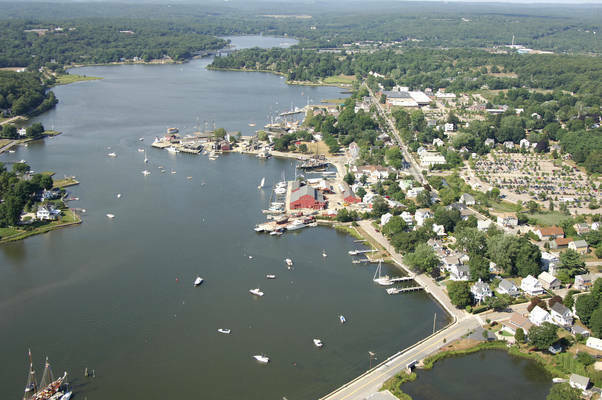 Downtown Mystic, located just a short walk from Mystic Seaport, offers a variety of dining and shopping options. We look forward to your visit and will do whatever possible to make your stay with us an enjoyable and memorable one. Mystic Rail Bridge opens on demand when no train traffic is present. 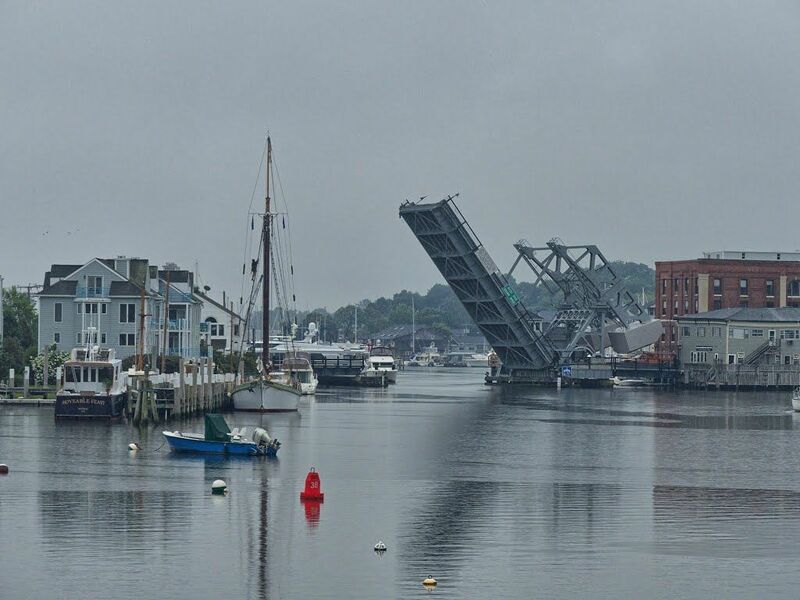 Mystic Highway Bridge opens 40 minutes after the hour when requested. Both bridges are contacted on channel 13. We have visited Mysic Seaport by boat several times over the years. It is always an enjoyable and unique experience. The bathrooms are clean. Being late in the season (Monday of Columbus Day weekend) it was the least crowded we have seen it. In fact we were the only boat there. We got some great pictures of the historic ships lit up at night. We will certainly be back. Always look forward to being here and never disappointed. I have been coming here since mid 80's. Always a great experience to see the old and discover new exhibits. Facility very accommodating, with interesting surroundings. Always a pleasure to see some new exhibit. It was so awesome staying at Mystic Seaport Museum. Greg the dockmaster was so helpful and friendly making sure we had everything we needed. The museum itself was amazing and that we had access to it after hours was even cooler. It was an easy walk to great restaurants. 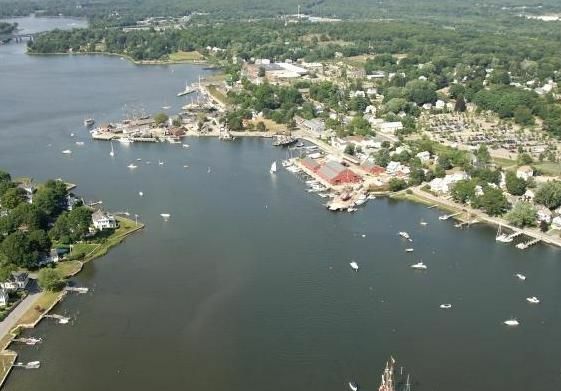 Our only gripe, not the marinas fault, was that we were docked right next to a 100 foot yacht who ran their exhaust belching generator all day and night. Stinky and noisy. Other than that our stay was fabulous, cant wait to return. We love the Seaport! 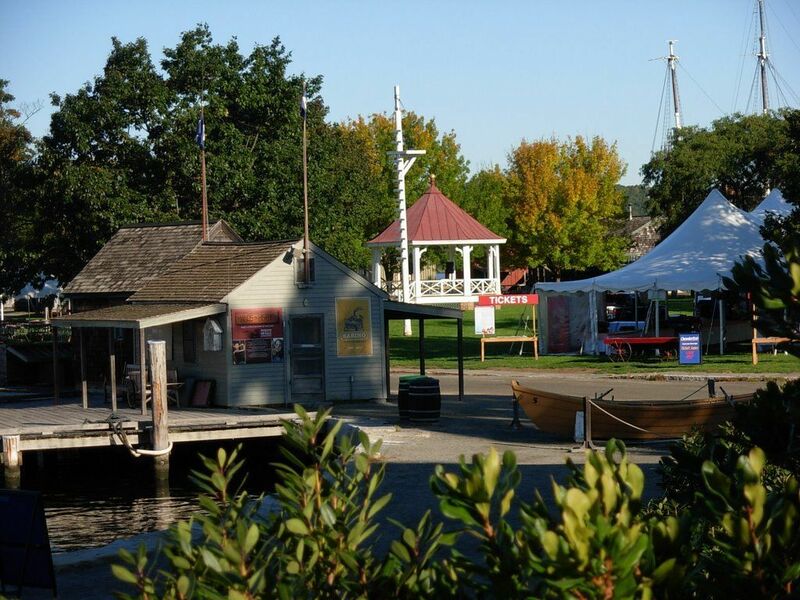 Warmly greeted by dock master with clear instructions, docking assistance and a comprehensive information packet describing current exhibits, a schedule of museum activities, and fun things to do at nearby Mystic village. Beautiful location with lots to do. 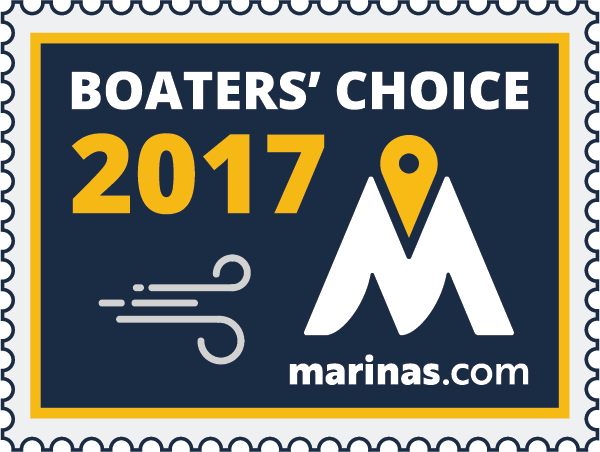 Admissions to the Seaport Museum is included. Staff is super accommodating and walking the grounds after hours is almost magical. Fabulous place to visit. The museum, the staff, the local couldn’t be better. Great showers, restaurants. Everything! Gray stay - helpful staff and beautiful grounds. Could only wish for a floating dock. A bit of a hike to town but Uber readily available. Still here. Hard to leave. Always a fun place to stay. Great staff at docking office. Cool concept and really worth the stop for the museum, especially for kids. Dockhand was full of hustle, but not the most knowledgeable (A+ for effort and friendliness). Unfortunately, we had to use all of our hoses plus some of the marinas to get fresh water to reach the boat. 240v electric was a challenge at only 200v, so our electric motors were all overheating and not functioning properly, most particularly A/C and it was hot and humid. Had to cycle genny and do my own multimeter diagnostics on all dock power, which was far from the boat due to earlier arrivals getting the limited number of close hookups. I think I had a total combination of 5 50/30a power cords to get power to the boat. Last gripe, the heavy rain causes certain slips leasees to walk through gravel and grass, making a total mess of the boats. All in all, still just shy of a 5 star experience. Would definitely go back. Unique experience and some helpful dockhands! Thank you. We always enjoy going to the seaport; it is a special place. The dock hands are knowledgeable and very helpful to all your needs. Perfect in every respect. 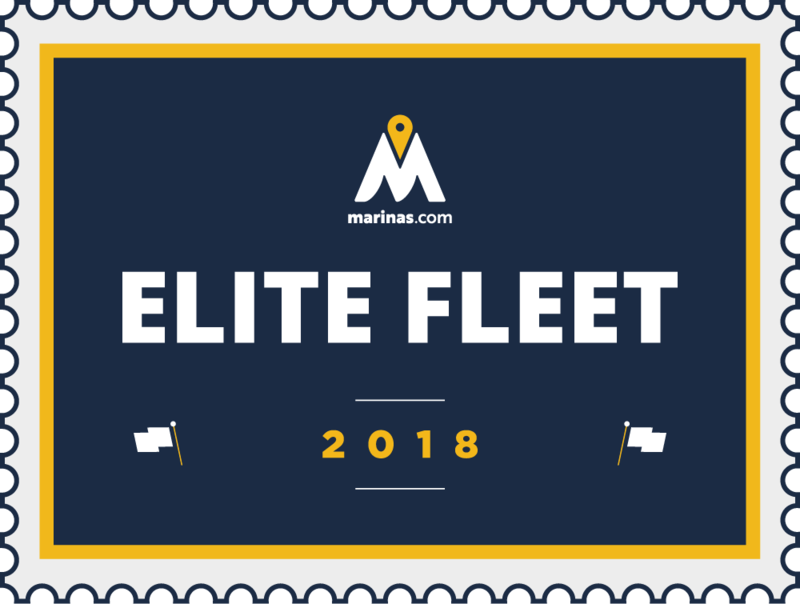 Easy dockage along wall, strong reliable wifi and surely one of the very special places to have a boat alongside the Charles Morgan and Joseph Conrad! 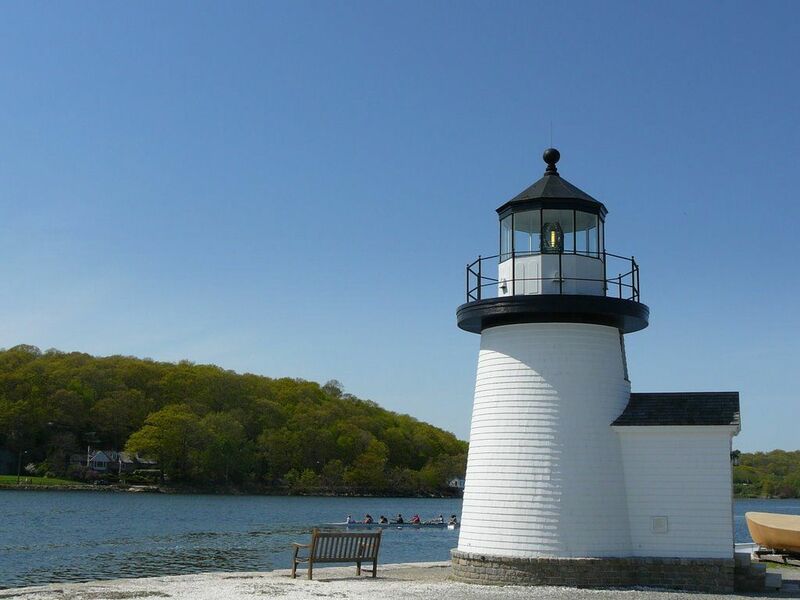 We thoroughly enjoyed our stay at Mystic Seaport. We had intended to stay only one night but extended for a second night to wait out a frontal passage. I'm glad we stayed the extra night because it gave us time to see much more of the grounds. The dock staff was professional, friendly, and very responsive. We berthed along the seawall on the northern side of the grounds. Tying up to a granite sea wall instead of a floating dock may be off-putting to some, but we had no problem with it as the dock staff helped set up the fender board and all was well. 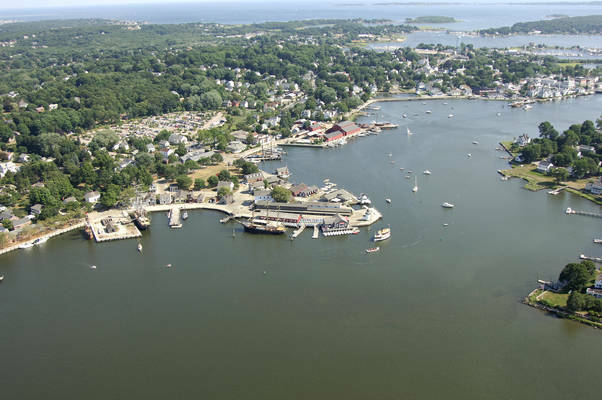 Tying up that way, at least to us, was in keeping with the history and tradition of the seaport. The head and shower facilities were nearby and clean. There are good restaurants within walking distance. As others have mentioned the real beauty of staying here in your boat is the ability to roam around the seaport grounds after visiting hours, which gives a really intimate and fascinating perspective of the place. We look forward to coming back! 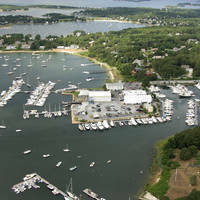 We stay at the Seaport whenever we are cruising in the Mystic area. The dockhands are always ready to assist and are superb in their ability to safely guide us to docking and tying up the boat on the pylons. Having the seaport to ourselves at night is icing on the cake! We had not been to the Mystic Seaport in several years do it was nice to get back. The dock hands were very nice. The shower facilities were a long way from our slip but having the Seaport admission included in the slip fee was a super perc. 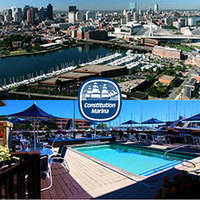 Great time at the seaport, pleasant friendly staff at the dock. Issues with the dock. It is a long climb up at low tide and required fender boards, which were supplied, because of the pilings. A warning, If towing a dinghy, place it along side your hull. Some one else left their's on the tow line and the dink went under the dock at low tide. In the morning at high tide, it was trapped under the dock and they had to wait for the tide to drop before they could leave. The booking process for a slip was easy and fast. As instruced, we called the dockmaster after clearing the highway bridge. We received clear insructions and directions. Dockmaster Greg was there to meet us and help secure the boat. The head and shower facilities were spotless...the museum was Amazing . Special thanks to Chris for a tour of the archive facility We’ll be back !!! Incredible and unique experience -- would highly recommend. Dockmaster Greg met us as we landed and from then on we had a great visit. The exhibits were just as good as we had hoped, the docents both volunteer and professional knew their stuff. The pleasant attitude of the dockmaster made us feel welcomed. My family simply loves staying at Mystic Seaport. The staff is incredibly friendly and having the seaport to yourself at night is very special. It is a short walk into town. However, there are many car services available if you can't make that walk. Also, the bathrooms are kept very clean. The place is amazing, The dock hands are professional. This was our first stop on a tour of the Sound, and we couldn't have asked for a better time. The facilities are amazing, and when the tourists leave, you have the run of the Seaport. It really makes you feel like you have gone back in time. The location is also quite protected which minimizes rocking. 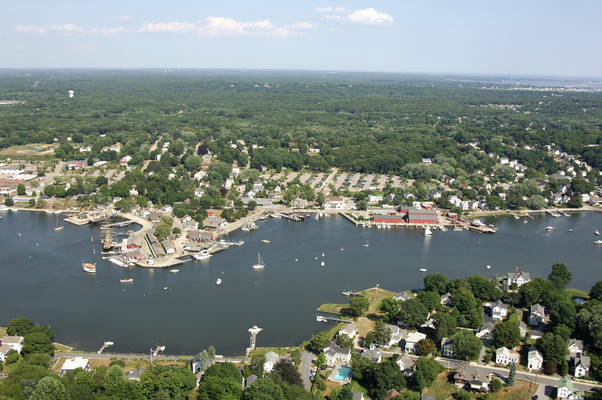 Plus, it is a short 15 minute walk or even shorter dinghy ride to town in case you need anything additional. We look forward to coming back next year. 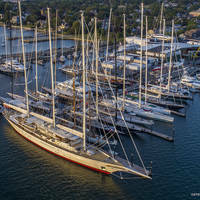 Staff was friendly, marina was breathtakingly picturesque. Very quiet. Short walk to town. It was too quiet for our taste, but we found entertainment in town. Fixed docks could be an issue. Not an issue for me at all, but a guest and another boat had issues getting on an off. Great stay at the Mystic Seaport. Wonderful staff, lots to see, and very calm protected docking. Our group got a wonderful behind the sceen tour of the Museum. We dock in Mystic and this is a first for staying on the grounds. Highly recommend a visit. This is not a late party place to stay. Another wonderful experience at the Seaport! The dock house staff were very helpful and friendly. 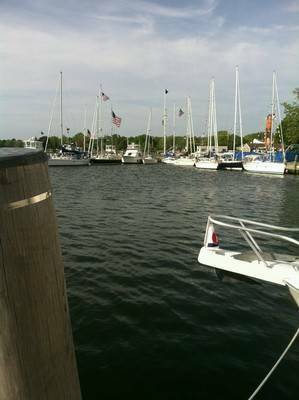 We were berthed right next to their wedding venue. It was a real treat to observe the ceremony and the following reception right next to us on Saturday night. Reception ended by 10:00 and all was quiet again. 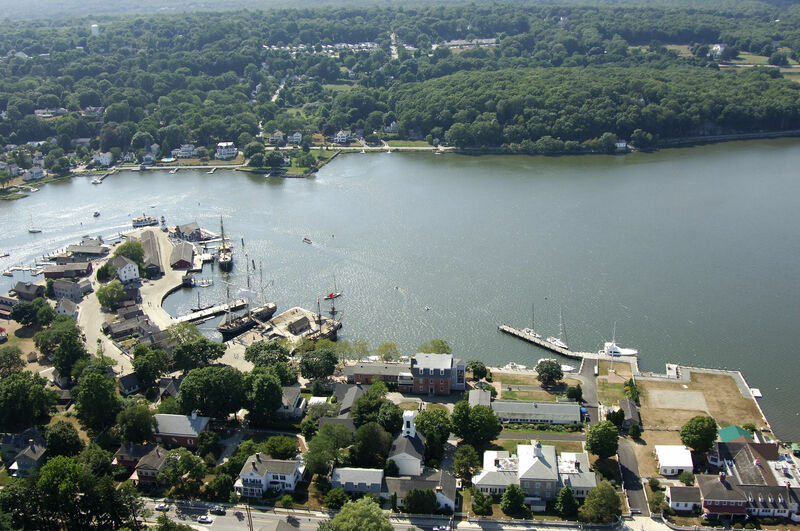 Will continue to have Mystic Seaport on our travel itinerary. Great marina especially since the seaport museum was included in the price of the stay. Thanks also very polite and hospitable staff. 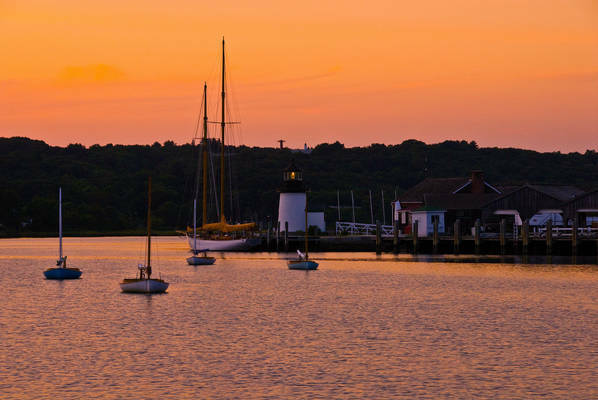 Mystic Seaport is the best New England destination, you can stay over night when the Museum is closed, and stroll the historic yard after hours. It is very protected, new shower facilities, and close to town. Very reasonable slip fee. I used DOCKWA, Vessels up to 167' and 12 foot draft. MUST VISIT!